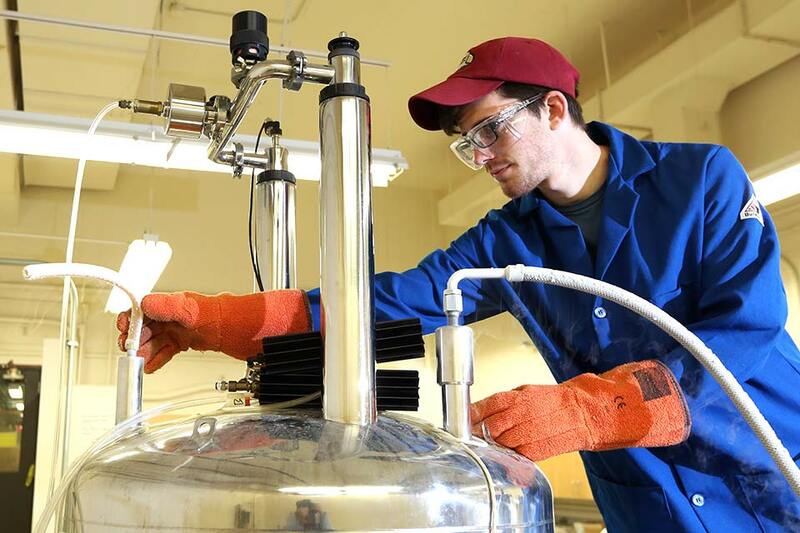 The chemistry department offers a range of well-funded, internationally recognized research programs. Our faculty collaborate with students and other researchers globally to find solutions to the most pressing scientific, social and economic problems. Our graduates go on to successful careers and leadership positions in academia and the pharmaceutical, chemical and petroleum industry. We are located in suburban Boston, a global hub of scientific research and innovation. Our campus is an easy drive or train ride to numerous internship, research and employment opportunities. The doctoral program starts with a year of courses in the student's own area of interest, supplemented by advanced courses in other areas of chemistry and, when appropriate, biochemistry, biology, mathematics, and physics. In future years, students focus on research leading to a PhD dissertation. Students in the PhD program are eligible to participate in the interdepartmental Graduate Program in Quantitative Biology, which provides training in new research fields that cross the traditional boundaries between the life sciences and the physical sciences.